What a pleasure it was to work with this pet shelter in finding a solution to their room dividing needs. The shelter needed a way to divide the animal shelter vet prep room from animals waiting in a crate for care. A Screenflex WALLmount room divider was the perfect solution. After attaching the sturdy bracket to the cinderblock wall, the divider attaches to the polyethylene bracket with ease. 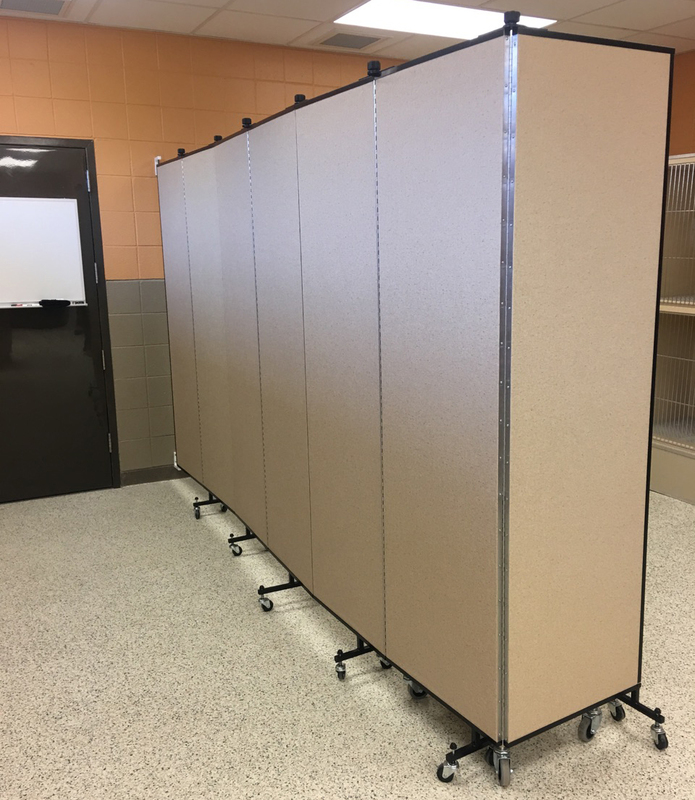 The panels extend from the wall into your desired configuration. Once the divider is closed it stores snug against the wall away from animals and staff. The caring staff enjoys the versatility it provides. 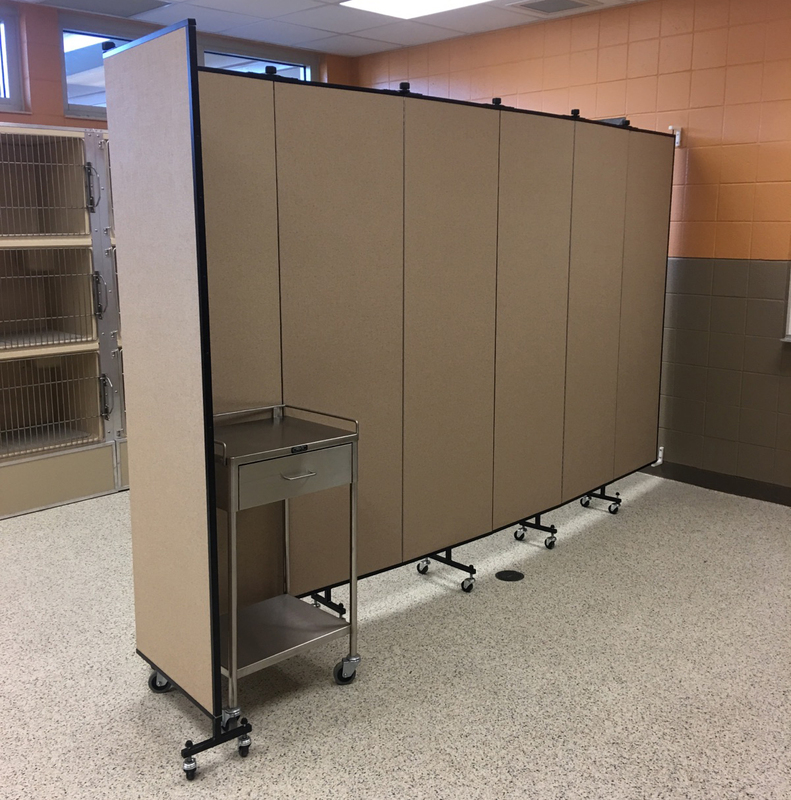 When the entire room is needed for animal play, the divider is closed and stored snug against the wall away from animals and staff. A vinyl covering is used for easy cleaning.